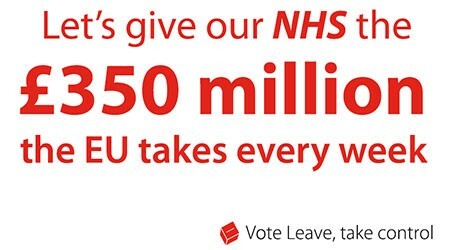 The Leave Campaign printed all over their bus, leaflets, posters, mugs and merchandise that they would want to fund the NHS with an additional £350m if Britain left the European Union. However, after £17m people voted to leave, leading Brexit campaigner – Iain Duncan Smith – has made a major backtrack on that famous claim that convinced many to vote Leave. To me, this feels like such a huge betrayal from the Leave Side, who emphasised this point massively during their whole campaign. A large proportion of the Leave voters, voted to fund their NHS with an additional £350m. Yet now they’re likely to not get what they voted for at all. Slowly, the lies behind their entire campaign are beginning to unravel. In fact, the repeated £350m claim was being criticised from the out-set, with the Institute for Fiscal Studies and the BBC stating that Britain’s actual contributions to the EU were closer to £175m a week because of EU rebate. Duncan Smith doesn’t appear to be the only one who is taking a U-turn on the repeated pledge. UKIP leader – Nigel Farage – also said that he could not promise money spent on the EU going to the NHS instead. Of course he never was an official part of the Leave Campaign, but it’s interesting that he never spoke out about the fake claims until the referendum was over. In fact, I still don’t think that Nigel Farage would’ve said anything about the £350m figures, had he not been asked about it on ITV’s Good Morning Britain programme. This is helping me to understand why people wanted a second referendum because voters were never aware about any of this prior to voting. This is just one of the many truths beginning to unwind from the EU Referendum.